Where can I enter my promotional code? You have the opportunity to use your promotional code at the customer information checkout stage. Enter the discount code in the box, by being careful not to add any extra spaces or text characters in the box. Click the “apply” button to receive the benefits of the code. Once the discount code is accepted you should see the total price change, and the name of the promotion should be displayed above the price. Proceed further by providing your billing and shipping information. 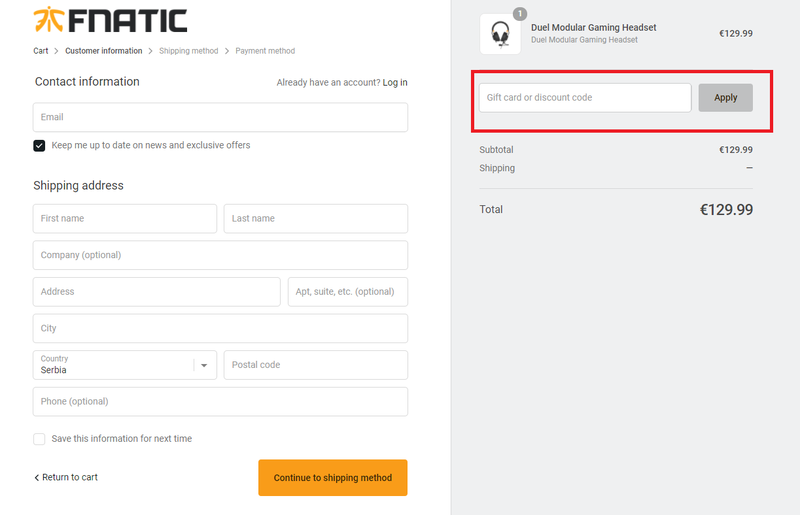 Discount code cannot be applied to On Sale items.